Hooray! My second post of 2015! 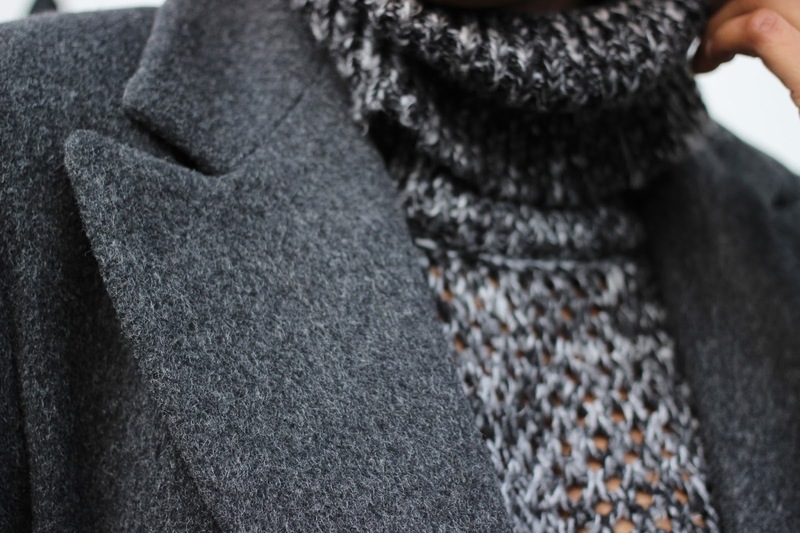 And it's an outfit post from my day at the V&A with Sherida. One of my best discoveries as of late has been hitting up my local Charity Shops for Coats. I've found that they are generally of impeccable quality, and very very affordable, making it a win win situation for me! I found this almost ankle-length Larry Levine number in a British Heart Foundation shop for only £15 and it just had to come home with me! 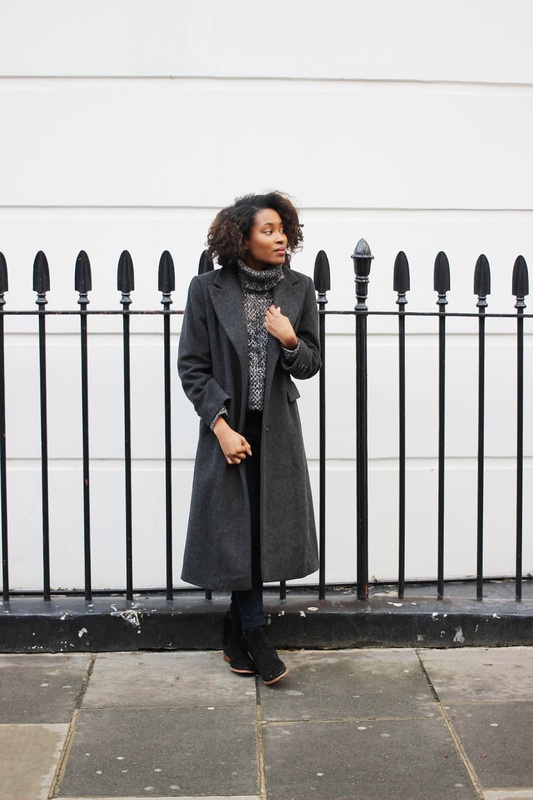 I love longline coats but they're generally very pricey and to be honest not that warm (gotta keep it practical people!) so i was super happy to find this was both very warm and still ticked the boxes aesthetically for me. 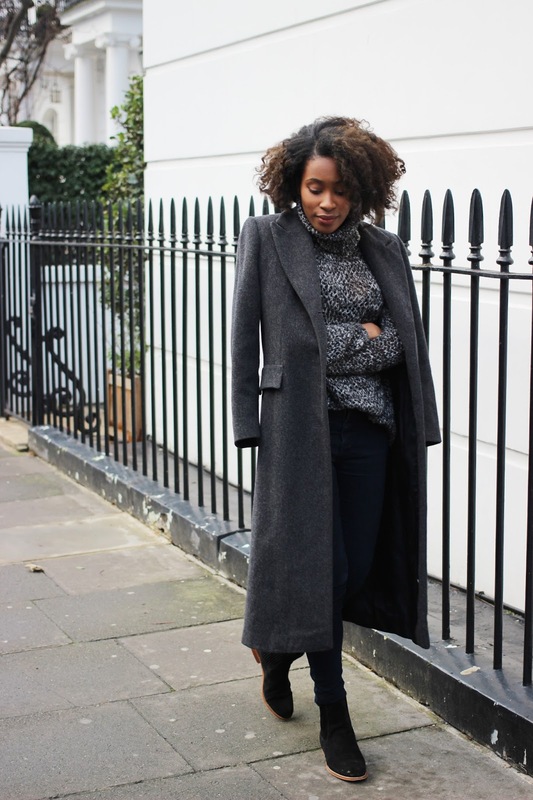 This coat is amazing, perfect for this weather! Very cute!! I love charity shops and thrifting. Good luck with your youtube. ah you look super cool, love the coat! OH man, just glancing through the pictures, I was thinking 'oh wow I like that coat, it looks like it's from such and such store' and when I read that you found it in a thrift shop I was just SCREAMING (internet screaming, not IRL screaming) because I really want like, 2 really solid, lovely + quality coats that I can love & use for years to come. I wasn't sure if I wanted to thrift them or just splurge on some ~trendy coats online. Your beautiful ensemble has inspired me to keep searching in thrift stores for a ride or die coat. Thank you! I feel the need to also add that your hair + bone structure are v striking !!! I absolutely love/adore this look on you . Plus i relaxed my hair but I'm going to go back natural and try to make it look like yours , your hair is super amazing. Thankyou for commenting :) I read every single one! Hello, i'm Sade. A coffee connoisseur, glasses aficionado and lover of florals. I began this blog in 2011 and here you will find a smorgasbord of style, beauty, lifestyle, architecture, art, photography and words that will hopefully resonate with you. Win An iPhone SE With In My Sunday Best & Three! L'Oreal Miss Manga Mascara Review. 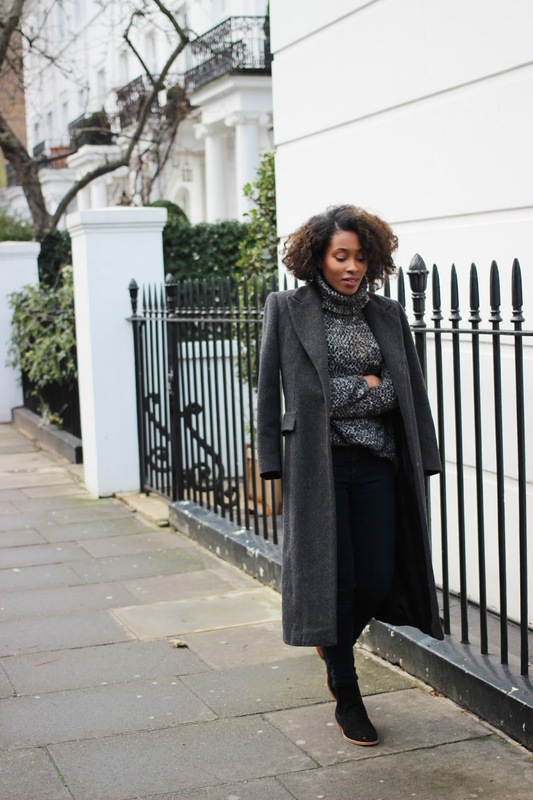 Pancakes, Seven Dials And A New Camera.. Le Boudoir : The Gallery Wall. © IN MY SUNDAY BEST. Design by FCD.